We always thought of Strongbow as the kind of wretched drink you reluctantly order in a wretched pub, when the wretched Doombar's off and the only other option is a wretched Heineken. Well, turns out the brand of sticky orchard fizz is down with the kids, particularly when it comes to the Dark Fruits variation. Tattoo-loving Londoners may be tempted — especially given the tattoo will be by renowned artist Alice Perrin. There is, however, a catch. It's got to be a Strongbow Dark Fruits tat. The tattoo-a-thon takes place on 17 and 18 August, with slots available to book here. 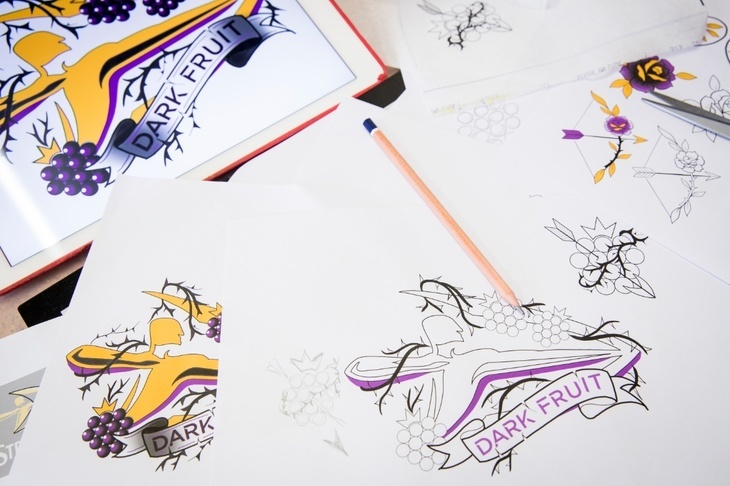 Says Emma Sherwood-Smith, Cider Director for Strongbow, "People love Strongbow Dark Fruit so much that they are actually getting it permanently adorned on their bodies — this serves as an epic reminder of how much the brand means to our fans." The remuneration for agreeing to be a lifelong billboard on legs for the drinks brand? A pint of Strongbow Dark, natch. We need a drink. Make it a Heineken.